There are two types of schools: those which prepare for careers and those which shape destinies. ILERI is a place which does not only pave the way for exceptional professions, it is above all a place where young people change the course of their lives: at ILERI they choose to become committed world citizens. ILERI is a place where, since 1948, humanist values have thrived, and thanks to this, the institute gives its graduates the most precious resource: a high commitment to the respect for others and a strong desire to frequent them, to unite with them, to understand their culture, to build the future with them, to organize the world, to generate riches, to eradicate hatred, fighting and war. 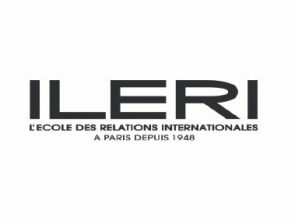 ILERI therefore has a duty to have the best academic level in order to equip those who will leave with the most reliable knowledge in order to play an important role in international institutions, in companies, in NGOs, throughout the world. Its prestigious faculty is the irrefutable guarantee of the quality of ILERI’s academic programme. Very quickly, ILERI students discover a specificity of this institute, one never leaves it. One carries it within oneself forever. Joining ILERI is a decisive step. Our institute has put international relations at the heart of its mission: transferring knowledge,e refusing simplicity, or even to over-simplify, as others do, and in so doing making this discipline more difficult. It is for this reason that I would like to express how honored I am to preside over the destinies of this institute and my respect to the teachers who have not lost faith in this chaos which they must simplify for their students, and lastly to the students themselves, who are constantly seeking to understand what is really happening in this vast world which we are going to leave to our children. It is often said that the lack of understanding is the beginning of resignation. Thank you to ILERI and all its members for refusing both. Internships at ILERI are carried out by preference of geography, of language, of interest in the career and are part of the steps that are exceptional and essential for building one’s experience. 40 weeks of experience to acquire an excellent knowledge of the professional world, understand the stakes of international activity and develop a sense of responsibility and decisiveness for action taking. These take place in both cycles and are an integrant part of the ILERI syllabus. Students can gain from an opening to an active working life and prepare them directly for international careers. In Master 2, the students benefit from a personalized framework with a tutor: activities evaluation, writing a dissertation, step by step reports, assisting dissertations in front of a jury; all of this means that the student is ‘coached’. Each internship includes writing up a report and a dissertation with assisting. An office of internships is available to help students and advise them on their professional plan. The internships are essential elements in the training of the student. At the end of the studies at ILERI, the students can show at least 10 months professional experience, which is a considerable asset. Well-known personalities are invited regularly to give conferences held at ILERI. During these conferences, students are encouraged to participate. Ileri’s guest speakers include some of the most prominent actors in the field of international relations. ILERI remains neutral in its political and religious stance and encourages an open-minded approach which respects everyone’s opinion. Students who have enrolled in Master 2 can benefit from work/study contracts, organized through a trainee contract or professional contract, or even in a partnership-school contract. The timing of the classes (two days per week and four intensive weeks per year) is established so as to enable the student to occupy a position of responsibility in a company or organization. Classes of around sixty students ensure that students feel a sense of belonging to ILERI. An informal student-support structure exists in the institute. A large part of this is done through debates and discussions in class, thus enabling students to gain confidence in themselves in public speaking and also how to acquire structure when forwarding one’s opinion openly. Class attendance is compulsory. It’s about living a hands-on experience whilst developing your own potential and learning how to adapt to various professional and personal situations; it’s also about working abroad. Last but not least, it’s about defining your professional future projects. Compulsory internships are part of the bachelors and masters programme.